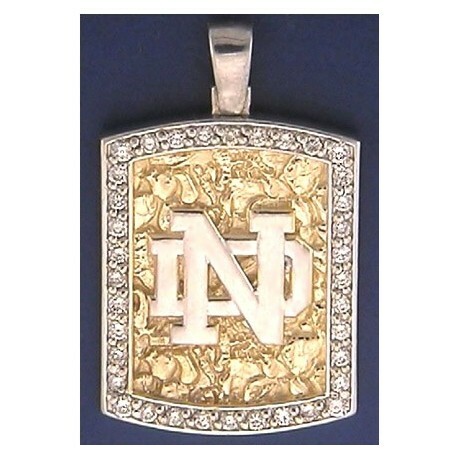 The 14kt gold pendant’s background is a nugget finish. The 1 1/4″ pendant has a border of 36 round diamonds with approximately 1.25 cttw in diamonds. 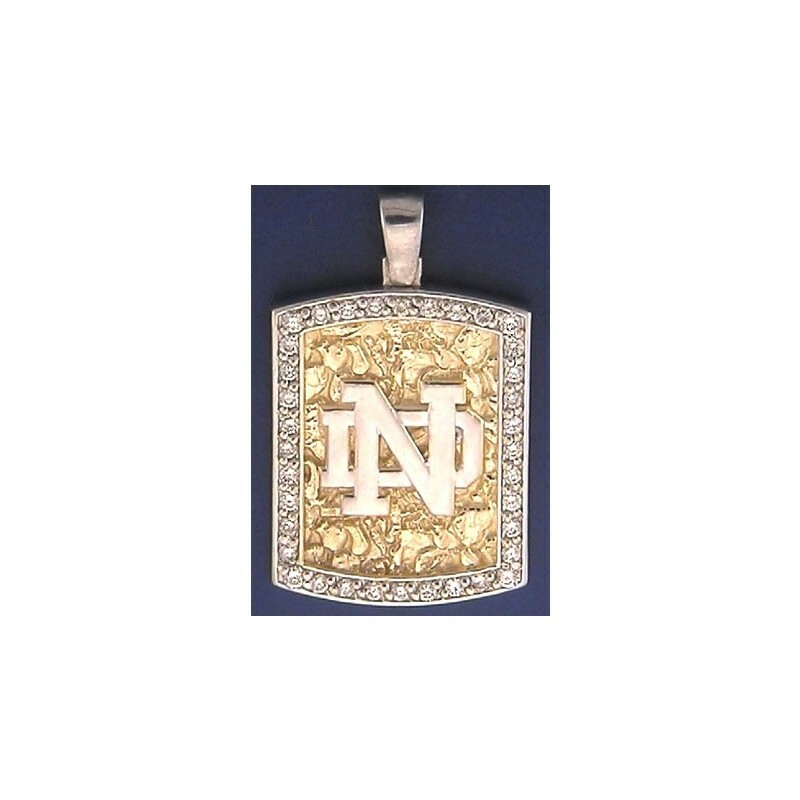 The 14kt yellow gold ND logo is rhodium plated to give the pendant a two tone look. Can be engraved on the back. Cost is $25. Enter your custom engraving in field provided, CLICK BELOW TO SAVE. Don't forget to select YES for custom engraving!